Good Sunday Morning Stamping Friends! I'm so happy to be posting my first project as a Design Team member for Crafting When We Can Challenges!!! Our theme for the next two weeks is *At the Movies* & I used the Cinderella digi for my creation--movie of course is Cinderella! I also found the perfect sentiment for her & I would be totally happy with this except for the fact that I messed up on the hair. I'm a bit disappointed but I did try & I apologize for the way it looks but other than that; I do like everything else about this card! We'd love for you all to come on over & play with us so get those stamps out, think of a movie, create your pretty projects and link them up to us! Please read the rules listed on the blog so your entries will be eligible for Top 3 as well as our WINNER!!! I'm very excited to see your works of art!!!!! Haven't been by in a while :). But I see things have not changed. Your cards are still fabulous :).This one is just fabulous. Oh my, what a beautiful, sweet card. The sentiment used is one of my favs. Thanks for joining in our hop at CBD. Super cute card, and her hair looks fabulous as well as your coloring and card design! 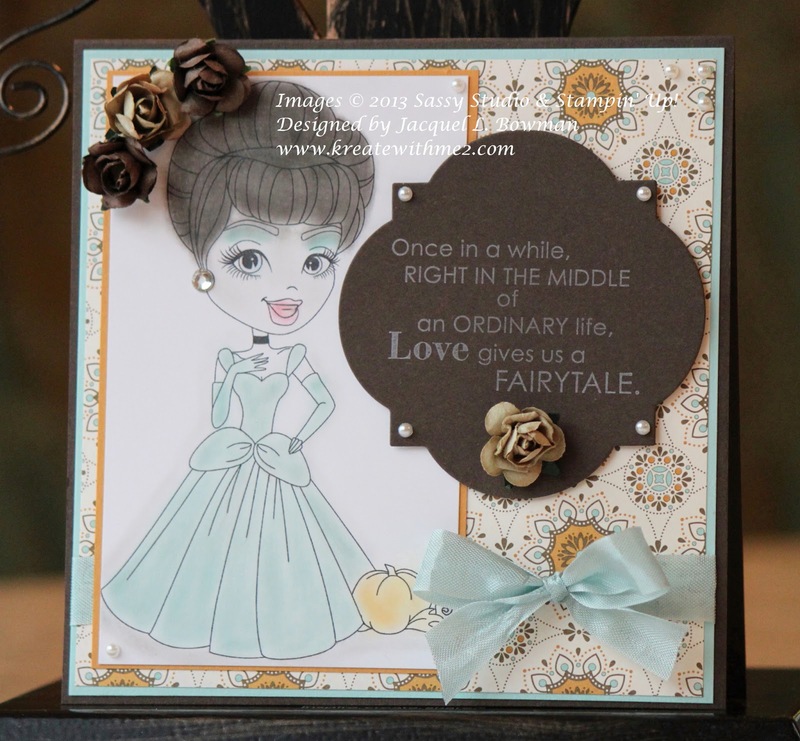 Gorgeous card...love your colouring and fab details...thanks for sharing with us at Divas by Design! I LOVE that quote!! And your card is fantastic!! :) Love those little flowers too!!! Thank you to share it with us on Deep Ocean Challenge... come back soon! She's adorable and you've done a wonderful job with your colouring again. I like the card and sentiment is perfect for it. Thanks for joining us at Chalk N Stock.